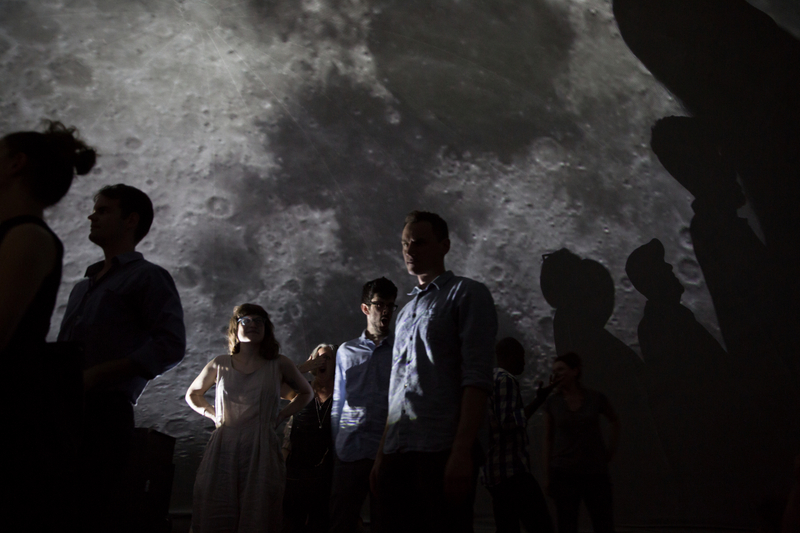 Annie Dorsen takes you on a sublime journey through the digital infinity in the dark of an inflatable planetarium. A lone performer reads texts culled from comments on the internet. The texts were selected by an algorithm and express the innumerable thoughts and opinions that anonymous individuals, all tapping away at their keyboards, send into virtual space every day. Gradually, fragments of narrative emerge from the online chatter. 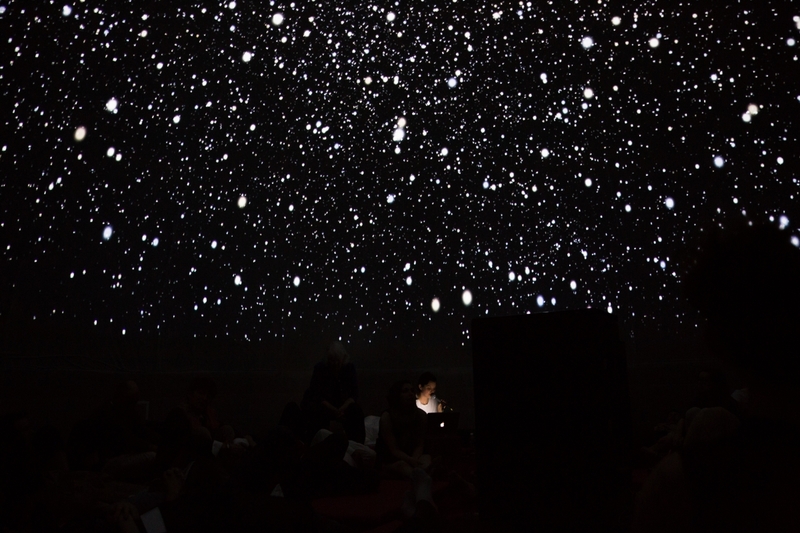 At the same time, a spectacular, computer-generated starry sky unfolds above you. It is as though you are sitting around a digital campfire under a digital expanse. The internet thus becomes the infinite, Romantic landscape of a 21st-century explorer, searching for a new supernatural authority. • Annie Dorsen is an American author and theatre producer. She has previously presented Magical (a cooperation with Anne Juren) and the intriguing Hello Hi There, a dialogue for two computers, at the Kaaistudios.